As a Non-Medical Home Care Agency in Sunrise, Florida, Superb Care Inc. provides assistance with daily living activities such as personal care assistance, companionship, housekeeping, sitter services and many more. Our home care programs are ideal for a wide range of clients who may be elderly, suffering from an injury, recovering from a surgery and many more. Please call Us Now to speak with a Care Coordinator 1-866-7SUPERB. We are an equal opportunity Non-Medical Home Care Agency in Sunrise, Florida. All clients who avail of our services will not be judged and will be served under no bias on factors such as age, gender, ethnicity, color, orientation, origin or creed. The same also goes for our prospect employees who wish to apply for a position in our company. Should you have any questions, we encourage you to give us a call at 1-866-7SUPERB. Please Schedule an Assessment if you wish to meet with us for an appointment. 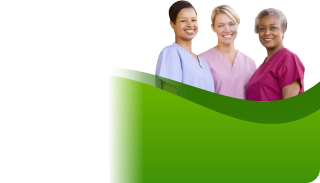 Superb Care, Inc. is a Nurse Registry licensed by the State of Florida Agency for Health Care Administration (AHCA) servicing the following Florida counties: Broward.